Back in April, we reported that legendary UK post-punks Gang of Four were prepping their new album, Content, the band's first new record in 16 years, and needed a little help to make it happen. Fans who helped fund the album got prizes as bizarre as vials of the band's blood for their support. While some of us didn't have the cash to contribute, we can redeem ourselves by picking up a pair of tickets to the outfit's upcoming tour . Following Content's January 25 release date, the English foursome will treat North American audiences, including those in Vancouver and Toronto, to their influential brand of damaged goods. 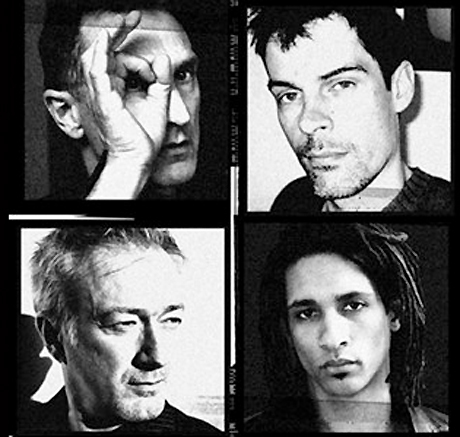 While the impact of the group on bands as varied as the Rapture and the Red Hot Chili Peppers speaks for itself, a press release notes that "Gang of Four have triumphantly defined their place in rock'n'roll and continue to influence a new generation of fans with their high energy, maximum impact sound." If you need further convincing that the troupe's new material is just as wiry as 1979's classic Entertainment, Gang of Four are currently offering Content's first track, "Never Pay for the Farm," here, so long as you're willing to cough up your email address. Content will be released via Yep Roc.